Frankincense oil is distilled from the resin of the milky white sap that is extracted from the tree bark of Boswellia sacara or Boswellia carterii. Mostly grown in the middle east where it is has been used for more than 3000 years for religious ceremony and healings. It is also grown in the east African countries of Somolia and Ethiopia. Frankincense oil has a strong, sweet, woody and spicy aroma that is stimulating and energizing to the mind. It is used in the aromatherapy world for various health benefits such as reducing pain and inflammation, anti-aging, acne control, relieving stress and anxiety, immune booster and to reduce the risk of cancer. Frankincense has been proven to be very effective in inhibiting leukotrienes, a small chemical produced by the cells of the body which can cause inflammation by promoting free radical damages and could cause many inflammatory diseases like, asthma, colitis, rheumatism, arthritis. The frankincense has been shown to inhibit leukotrienes, it blocked the synthesis of leukotriene, there by inhibiting inflammation and shrinking the inflamed tissue. Diffuse some drops of frankincense oil, topically apply, inhale or add some drops to your bath water to enjoy the benefits of the oil. Frankincense oil is one of the best essential oil uses to reduce the effect of aging on the skin, it is anti-inflammatory, anti-microbial and astringent. It helps to protect the skin cells from damages caused by free radicals. It tightens and prevents sagging of skin tissues, it reduces the presence of scars, age spot, dark marks and wrinkles in the skin. It also clear blemish and tone the skin. Mix some drops of frankincense oil with your favorites carrier oil and apply topically on the skin, make sure you do a skin patch test if you are using it for the first time for allergic reaction. Frankincense is not only good in treating acne, it helps to clear the scars left by acne on the skin. Frankincense essential oil is powerful anti-bacterial, antiseptic, anti-inflammatory and astringent. It does not only kill the bacterial that cause acne, it also controls oily and greasy skin and maintain a balanced moisturize skin, it also prevents irritation and relieves pains caused by black head or white head swollen pimples. Dilute some drops of frankincense oil with coconut oil and rub on the affected area of your skin. Frankincense oil helps quickly helps your skin rejuvenates from old scars, stretch mark left behind by acne, wounds or cuts and blemish on the skin. Add some few drops to your favorite essential oil carrier or your lotion and apply directly on your skin to get the desired outcome. Frankincense essential oil is used to speed up the healing process and protect the wounds from infections. What to do, dap a cotton bud on a diluted frankincense oil with a carrier oil and apply as a disinfectant on the surface of the wound. Frankincense essential oil is a natural astringent, antiseptic and expectorant, it is use to relieve your cold and flu and boost your immune system to withstand the symptoms of cold and flu. What you need to do is, inhale frankincense oil directly to decongest your respiratory tract. You can also mix about 3 drops of frankincense oil with 3 drops myrrh oil, 3 drops of rosemary oil and 3 drops of eucalyptus oil to your bath water, you can as well add these mixtures to warm water cover your head with towel and inhale the steamed vapor. Do this for several times until your cold and flu disappears. If your condition does not improve after 2-3 days make sure you see your doctor. Frankincense essential oil is uses as effective reliever for such pain as joint pain, backache, muscle pain and rheumatism. Dilute some drops of frankincense oil with your favorite carrier oil. I prefer using coconut oil and massage carefully in the area of pain. The substance absorbed fast in to you skin and gives you instant relieve. You can also diffuse also diffuse frankincense oil in your room at bed time to calm your nerves and relax your muscles. Frankincense oil is effective in the treatment of problems associated with stomach cramps such as indigestion, Irritable Bowel Syndrome (IBS), gas or bloating. The oil helps speed up the secretion of gastric juices, bile and acids in the intestine. Dilute some about 4-5 drops of the oil with 2-3 drops of coconut oil, carefully massage below your abdomen, or add about 2 drops to 7 ounces of clean water and drink. Alternatively add two drops to one table spoon of honey mixt the substance carefully and take. Frankincense is a very effective antidote for stress and anxiety. It lowers your stress and anxiety by promoting deep breathing and relaxation when you inhale or smell the fragrance. It also rejuvenates your nerves, relax your mind and improve your mental peace. When diffuse in your room before bed time frankincense oil is capable of giving you sound peaceful sleep. Blend some few drops of frankincense oil with other bed time essential oil like lavender oil and ylang ylang oil in your diffuser at bed time to have a good lovely night rest. You can also drop these mixture on your pillows or bed spread to enjoy the same effect. Frankincense essential is use to support your immune system. They are very effective as an antiseptic, antibacterial and anti-inflammatory. When use properly it keeps you away from common illness such as cold and flu, stomach disorder, protecting wound from infection, keeps bacterial and germs away from your home when diffused with other disinfectant oil. Studies have shown that boswellic acids found in frankincense oil are potent apoptotic agents to cancer cells. It is reported that the boswellic acid acetate seems to induce apoptotic in six human myeloid leukemia cell lines through a caspase-mediated pathway. The anticancer activities of frankincense oil or sometimes refers to as AKBA is attributed to the inbibitory effect on the lipoxegenases, leading to the inhibition of cell proliferation and induction of apoptosis in tumor cell. Frankincense essential oil increase the volume of urine production, there by cleansing your bladder off toxic substances that may be harmful to the body. When you find yourself frequenting the rest room after taking frankincense do not be alarmed, it is helping you expelling the toxic in your system. Frankincense essential oil is uses to treat or relieves various respiratory problems such as phlegm, cough, bronchitis, asthma. It clears phlegm deposited in the respiratory tracts and lungs, and reduce inflammations caused by cough and asthma. It also boosts the immune system against the re-occurrence of the problems associated with respiratory issues. Inhale directly from the bottle, diffuse or use as steam inhalation to solve your various respiratory issues. This special oil is also very beneficial for your oral health, it refreshing your mouth and keeps mouth odors away. It also prevents tooth decay, toothache, gingivitis, mouth sores and so on. No wonder that you find frankincense one of the active ingredients in many oral products. When proper diluted with a carrier oil like coconut oil, you can apply some drops and switch around your mouth 5-7 seven minute before brushing your mouth, or add some few drop to little quantity of water and gurgle. You can also drop like 3 drops below your tongue and allow to circulate for some few minutes before spewing out or you ingest it no problem as long as it is properly diluted. Having a lots of issues menstrual circle, frankincense essential oil is one the favorite oil that could be used to improve menstrual and menopause health. It balances the hormone levels and regulate estrogen production, thereby helping to relieves pain, stress, headache, constipation, nausea, mood swing, anxiety and fatigue associated with menstruation and menopause. Can you ingest frankincense essential oil? Frankincense essential oil can be used internally if properly diluted with carrier oil like coconut oil in the accepted quantity. Alternatively, you can also ingest frankincense oil by diluting some drops with a table spoon of pure honey. 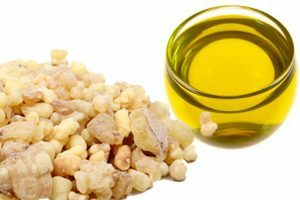 However, you should not give frankincense oil to children below 7 years and women should avoid ingesting the oil during pregnancy or breast feeding as the oil is said to be emmenagogue which means they are capable of inducing menstruation. There are no serious reported cases of using frankincense oil, except that some precaution has to be taken. When using the oil topically on the skin make sure you dilute it properly with a carrier oil before applying it on your skin, it is also recommended to do a skin patch test to ascertain the sensitivity of the oil on the skin before applying on the skin. Do not ingest a large quantity of the oil to avoid problems such as constipation, heart burn, and nausea. In overall it highly encouraged that you consult your doctor before using any essential oil. Nice Job Keep it up, I really benefit from your post!